Any format is eligible: e-book, paperback, hardcover, spiralbound, etc. You don’t have to discount each edition. As long as one edition is on sale, you can participate. You don’t have to discount the book at every retailer. As long as your book is discounted through some sales channel (even if it’s just direct sales from your website), you’re eligible to participate. Following is more information for specific sales channels, including: (1) Kindle, (2) other e-readers, (3) Amazon via CreateSpace, (4) CreateSpace eStore, and (5) selling directly. Toward the bottom is a note about promoting your sale. Your prospects for selling books on Read Tuesday will be significantly improved if you promote your book’s participation effectively. Unfortunately, if your Kindle price is already at the minimum possible price, you won’t be able to reduce the price of your e-book and still draw a royalty on Read Tuesday. If you have a Kindle e-book that’s not already at its minimum possible price, all you need to do to participate is lower the price on Read Tuesday. 99 cents is only possible if it’s less than 3 MB. $1.99 is only possible if it’s less than 10 MB. $2.99 is the minimum price if the file size exceeds 10 MB. If your Kindle e-book is already at the minimum price, you may still have other editions (e.g. paperback), other sales channels (e.g. Smashwords), or other books that can participate. You could make the Kindle e-book free on Read Tuesday if your book is enrolled in KDP Select at that time. However, we’re not asking anyone to give their books away for free during this event. You can, but that’s entirely up to you. Most authors will want to draw a royalty from their Read Tuesday sales. There may be a significant delay from when you change your price to when it shows up through a specific distribution channel, especially if you use an aggregator like Smashwords instead of publishing directly (and some sales channels may not give you an option to publish directly). You would have to allow for this delay, which may make your book on sale for a longer period. Alternatively, you could choose to put your book on sale short-term just for the sales channels where the price change would occur quickly (such is the case for direct sales through Smashwords, for example—but consider the point below), and only promote your book as being on sale for those channels (don’t worry about any other channels if you don’t want to). Amazon may price-match your book if customers report that your book is on sale elsewhere. The longer your book is available for sale at other sites, the greater the likelihood for this to happen. If it does happen, the price-match may be permanent. (You may be able to get it lifted by contacting KDP, explaining that it was just temporary. KDP may ask you to agree not to lower your price elsewhere again, and it may take a long time before KDP raises its price.) If you have any experience with this, please feel free to share it in the comments section below. There are a lot of things to consider. For example: If the royalty is normally 70%, but the price-match would be less than $2.99, does this have important ramifications? How long would your book show up as on sale elsewhere? How would you feel about a long-term price-match? Some retailers, like Barnes & Noble, may have requirements that the list price you set with them be no lower than the list price at other retailers. These points offer some complications to doing a one-day promotion on e-books. If you have any experience or ideas regarding this, please share them in the comments section below. However, at Smashwords, for example, you can create a coupon and pass this coupon code on to customers. The coupon code will be valid at Smashwords only (not other stores where it may be distributed, like Nook or Kobo). This is a good way to use an e-reader service other than Kindle to create a one-day sale. There are two important points to consider regarding discounts of CreateSpace paperbacks on Amazon’s website. First, if you have the Expanded Distribution channel, this will limit how much you can discount your price on Read Tuesday (and your Expanded royalty may be quite low during this time). Visit your Member Dashboard and check the pricing information to see how much room you have to work with. There are advantages to just discounting your paperback through your CreateSpace eStore (see point 4 below) or via direct sales (see point 5 below). You can potentially draw the greatest royalty with direct sales, and eStore sales pay a greater royalty than Amazon sales. Also, eStore sales may be more convenient than fulfilling orders directly (except that customers may not want to sign up for a CreateSpace account to complete the order), whereas if you stock the books on-hand and sell them directly you get to see them firsthand, which prevents customers from receiving defects. On the other hand, Amazon sales improve your sales rank, Customers Also Bought associations, many customers will get free shipping (through Prime or by spending $25 on eligible products), reviews show as Amazon Verified Purchases, and customers trust Amazon. It’s easy to create a discount code at CreateSpace. However, you have to be careful that the discount code wouldn’t make your book’s price fall below the minimum price (check your pricing page to see what the minimum price is). After you open your book from your Member Dashboard, select the Channels page, then click Discount Codes under CreateSpace eStore. You can choose a fixed dollar amount savings (like a flat $3) or a percentage off discount (like 15%). Keep in mind that customers have to pay for shipping. But if the customer is buying several different books through CreateSpace eStores (if you like to buy paperbacks, this might be a good way to buy books on Read Tuesday), that will help to lower the per-book shipping rate. You can use the same discount code for multiple books (provided it doesn’t make any book’s selling price below its minimum). Simply copy and paste the discount code into the other books’ eStore discount pages. When the sale is over, you can delete the discount code so it no longer works. If you put your books on your website, you can sell them directly—e.g. through PayPal. You’ll have to figure how much to charge for shipping; and if the total makes the book more than the customer could get for the book on Amazon with free shipping (which is easy to qualify for—via Prime, or without Prime just having a total of $25 on eligible purchases), then the discount may not attract much attention (unless the customer is buying multiple books from you). You also want to figure what your effective royalty will be (after buying the books directly plus the shipping you pay to CreateSpace, any packing supplies that you have to buy, PayPal fees, etc.). You don’t have to buy the books in advance; you could just buy the books at CreateSpace at your author price and ship them directly (but you have to do this separately for every address). However, seeing it in person, you have a chance to avoid defects (but it costs you an extra shipping charge, which isn’t too bad if you buy several copies at once). You also have to allow time to exchange any defective copies (now would be a good time to place an order). Some authors have websites where customers can buy their books directly from the websites, and where they can create temporary discount codes. This makes it easy to put your book on sale and to take payments, but you don’t have to be automated like this to sell directly. Read Tuesday won’t replace the need for authors to market their books. Simply putting your book on sale without spreading the word probably won’t have any effect on sales. Simply adding your book to the Read Tuesday catalog without spreading the word may not have much effect on sales (especially, if the catalog grows very large). If you promote your book’s participation in the Read Tuesday event effectively among your target audience, that will significantly improve your book’s prospects of success on Read Tuesday. Ideally, you want new people (i.e. not your current fan base, who already have your book) in your target audience to discover that your book will be on sale on Read Tuesday. You want to spread the word in your target audience, and to get others help you promote your sale, that your book will be participating on Read Tuesday. The more effectively your market your book’s Read Tuesday promotion, the more likely your book is to benefit from participating. Read Tuesday gives you an opportunity to promote your own book while waving the Read Tuesday banner. Instead of just saying, “Please check out my book,” which much of marketing effectively does (though maybe much more implicitly), you have a chance to interest people in Read Tuesday and to get those people to discover your book—and to see that your book will be on sale on a Black Friday type of event. You could make posts like, “Title of Book will be on sale for Read Tuesday—a Black Friday event just for books.” Compared to making a post like, “My Book will be on sale,” this has the potential to help you create more interest. Remember, authors are free to use the Read Tuesday images in a positive way. 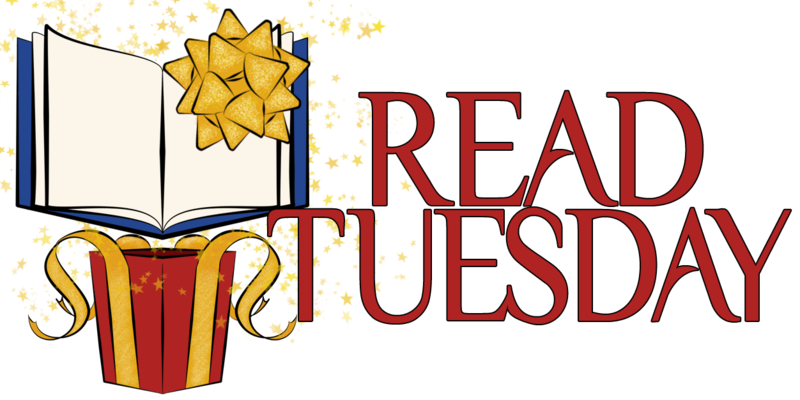 Feel free to show your support by placing one of the Read Tuesday images on your sidebar. Feel free to use them in a positive way with any posts. More important information for Read Tuesday! Information on how to participate in Read Tuesday on December 10, 2013. Interesting information regarding Read Tuesday! Check it out my friends!